Singer R Kelly has accused the parents of the women he allegedly sexually abused of selling their daughters to him. The singer made this known in his first interview since getting bailed from arrest. In the 80 minutes interview with CBS NEWS, R Kelly described the women, Jocelyn Savage and Azriel Clary, as his ‘girlfriends’. He also claimed that he began dating Clary when she was aged 21 and not 17. ‘They’re my girlfriends, we have a relationship. It’s real. 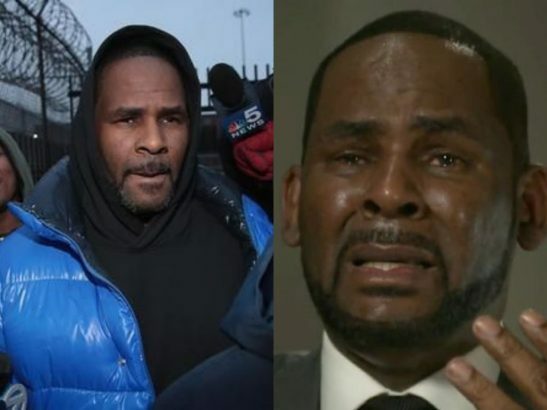 I’ve known guys all my life to have five or six women’, 52-year old R Kelly said. He went on to accused the parents of the women of selling their daughter to him. ‘What kind of father, what of mother will sell their daughter to a man? How come it was OK for me to see them until they wasn’t getting no money from it?